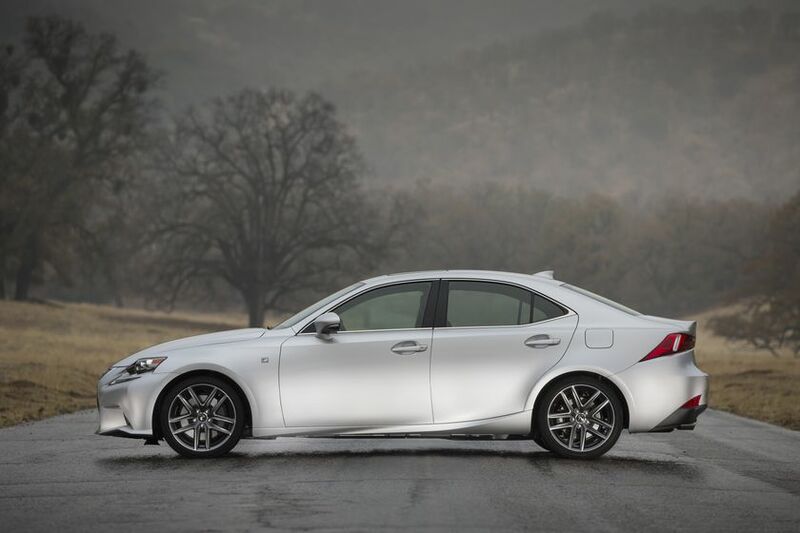 (TORONTO – December 3, 2013) – From a field of five entries, the 2014 Lexus IS has been named best new Luxury Car in the under $50,000 category by the Automobile Journalists Association of Canada. The 2014 Lexus IS has a new, bold style – immediately apparent from the signature Lexus spindle grille and the LED daytime running lamps. And what the style promises, the sporty performance delivers – combining exceptionally agile handling and immediate, accurate response to driver commands. Enhancements to all 2014 Lexus IS models include: a more rigid, yet lighter, body structure with a lower centre of gravity; a new driver’s seat featuring a unique, integrated foaming construction that provides greater comfort and support to hug the driver like a race-car seat; increased rear seat leg room; new steering and suspension systems developed from those used on the Lexus GS luxury performance sedan; and more. The 2014 Lexus IS is available in two engine sizes, each offered in both rear wheel drive and all wheel drive configurations. Each model may be ordered in a choice of trim levels, for a total of 22 available configurations. The AJAC winning vehicle – the Lexus IS 350 RWD fitted with the available F SPORT Premium Package – carries a suggested MSRP of $48,950. It features a 306 peak horsepower V6 and an eight-speed sport direct shift transmission. It’s the first Lexus model to employ the G Force Artificial Intelligence system (G-AI), which actively matches gear changes to G forces generated during cornering. This AJAC winning model is exquisitely appointed with many performance upgrades, including: A four-setting drive-mode select system; adaptive variable suspension; 18” alloy wheels; larger front ventilated disc brakes; an instrument cluster inspired by the Lexus LFA supercar; variable gear ratio steering; an F SPORT aerodynamics package; and more. Other features on this model include: a power moon roof; voice activated navigation system with Lexus Remote Touch haptic controller; heated steering wheel; 10 airbags, including two rear seat side airbags; Blind Spot Monitor; Rear Cross Traffic Alert system; clearance and back-up sensors; rain sensing wipers; a driver’s seat memory system; a 60/40 split folding rear seat; and more.